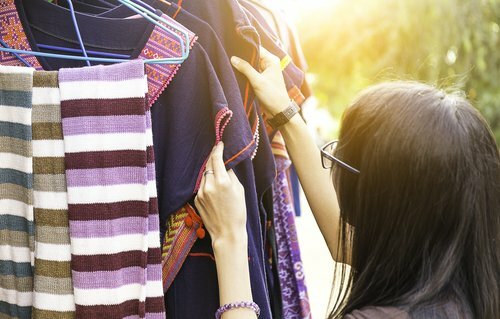 For many clothing consumers, the term “credential” may be unfamiliar or draw an unclear definition of what the term actually means. Many in the fashion industry tend to think that “credential clothing” refers to all variety of recycled materials and that they end goal in producing these materials is exclusively an environmental interest. When fashion insiders refer to “credential clothing” they are referring to a specific grade of material and a series of processes that the item undergoes. 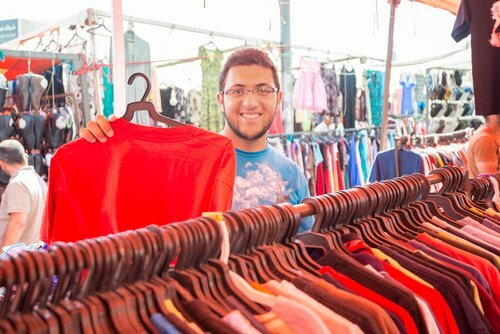 Also referred to as “original clothing,” credential materials are shoes and miscellaneous textiles that are considered unwanted by their initial users and then donated to drop boxes (which are placed throughout different communities — most especially middle to affluent neighbourhoods and especially those that are in high traffic areas), clothing depots, charity organizations and/or recycling companies. Prior to the donation, these items may have spent some time with their initial owner and have since been collected from closets and bins and bagged up for a new home. It is often the case that when collectors dig through these bins, they find a variety of materials – jewelry, shoes, hats, toys and stuffed animals, purses, backpacks, wallets, belts, scarves, miscellaneous fashion accessories, and household linens. So what exactly makes these items “credential”? Most traders agree that one of the things that makes these items credential is the packaging. In order for these materials to qualify as credential they must be unsorted, untouched, not graded in terms of their quality, in the exact condition in which the material was first deposited, and in their original packing bags. The goal of credential clothing, most notably in the instances of packaging, is that in order to preserve the materials, it is imperative that the items be left in their original plastic that the item was packaged in. This strategy ensures that the credential clothing item is not compromised by being mixed up with trash and wet materials. Ensuring that these materials are not mixed in with trash is perhaps one of the most important requirements of a credential clothing item. Once these items are collected and assessed, they are later processed and recycled as top-grade credential materials by graders who purchase the items in hopes that they will they will get a higher yield since the more desirable items will not have been sold in the stores. 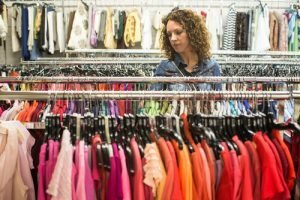 Why is Credential Clothing Better and Preferred? One of the reasons graders prefer credential clothing is because the items are considered higher quality, and therefore much preferred. One of the key reasons for this is because credential clothing items generally have not been opened. According to many graders, the problem with materials that are no longer in their original packaging is that the end distributor does not have the opportunity to pick out those items themselves and determine which is most valuable. 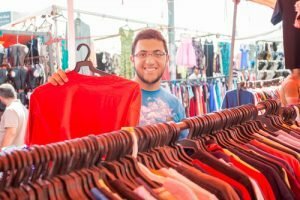 Most experts in the credential clothing market agree that it is often the case that credential clothing gets a higher market than graded used clothing because of packaging. Inside of these bins and bags with credential clothing, graders can often find a variety of materials that include: vintage and highly sought after items, jewelry and other accessories such as hats, belts and scarves, shoes (both leisure/informal and formal), carrying items such as purses, backpacks and wallets, hats, materials for children such as toys and stuffed animals, and household linens. Once graders recover these items, they will then sort through these products and determine how to select top grade items from the clothing, shoes (which have a higher value), and valuable vintage items they have recovered. Once they have assessed their recoveries, they move to sell the items individually at a higher price. How Are Credential Materials Collected? So where do credential experts find their items and how do they recover them? According to industry experts, most credential clothing items are collected from and found in drop boxes. In these areas, collection boxes are emptied regularly – and it is often the case that this could be as frequent as once a week or more if need be. These items are typically recovered by drivers who given the task of collecting these materials, ensuring that all items are secured in carrying materials (for example, plastic bags) and that there is no trash or wet items included in the packages or amid the materials. How Does Bank & Vogue Contribute to the Credential Market? At Bank & Vogue, our team works hard to purchase materials of high credential grade and to facilitate the purchase of wholesale credential clothing from charities and for-profit collectors across North America. All of this begins with our first step in recovering materials – accessing our suppliers. This entails getting our team to pick up materials from home pick-up routes, public bins located in neighbourhood drop off locations, and picking up materials that were, for a time, located in-store drop-offs and donation stations. Picking up materials entails sending a truck to the supply location to pick up any loose or baled credential clothing and bring them back to our facilities. Bank & Vogue employees then begin sorting the recovered materials which have been packaged in bales. While the product is unsorted, workers make it a priority to search for and eliminate any hard items or lotions that can damage the clothing. It is of the utmost importance to our team to ensure that these items are removed safely from the bags and protected from any kind of damage. Unlike clothing items, other items such as shoes, purses, and belts remain with the load. At Bank & Vogue, we are responsible for processing and distributing credential materials for export or redistribution in both domestic and international markets. In order to do so, our team ships the materials in different trailer loads. It is usually the case that we use a full 53-foot trailer load for the domestic-bound materials and 40-foot high-cube ocean containers for exporting materials internationally. The weights for these containers vary depending on the packaging and loading needs. 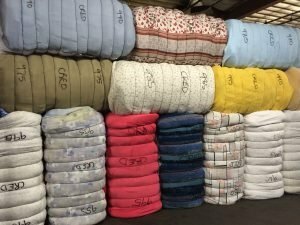 It is usually the case that loose items weigh a minimum of 25,000 – 30,000 pounds, while baled clothing has a minimum target weight of 40,000 pounds. For those clients who are interested in our Bank & Vogue services to collect and distribute credential clothing, our team would be happy to assist with additional details regarding shipping and packaging. North American clients can call 1-866-613-0719, while international clients can call 1-613-747-8465. Our team is available to provide information on pricing options, as well as pickup and purchase logistics.